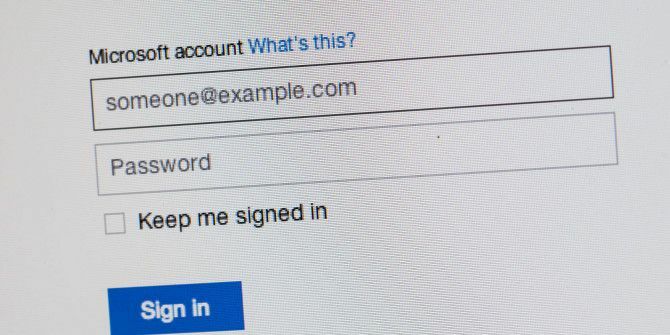 Create a Microsoft Account on Windows 10 Using Gmail or Yahoo! Want the benefits of a Microsoft account on Windows 10 without a Microsoft email address? No problem. You can just use one of your existing non-Microsoft addresses like Gmail, iCloud, or Yahoo! to set up the account. Open the Start menu and click on Your Username > Change Account Settings. Next, under Your Account, click on Sign in with a Microsoft Account instead. When you see the sign-in prompt, look for the No account? Create one! link and click on it. Now you can enter your non-Microsoft email address to associate it with your new Microsoft account. You’ll also need to type in a few details like your password, full name, birthday, and country. Ignore the Get a new email address link and proceed by clicking Next. On the next screen, you can opt out of Microsoft’s personalized advertising How to Ban Windows 10 Ads & NSFW Content from Your Desktop How to Ban Windows 10 Ads & NSFW Content from Your Desktop Windows 10 may be crossing a line with desktop ads and NSFW content. Microsoft and third-party developers can push promotional material directly onto your desktop. We show you how you can defend yourself. Read More and promotional offers. Hit Next again and follow the on-screen prompts to finish the setup process. Your Microsoft account with a non-Microsoft email address is now ready for use with Windows 10! You can also use Windows with a local account, but it’s nice to have the Microsoft account for benefits like saving personalized settings, downloading apps from Windows Store, and syncing Edge passwords. Do you use a Microsoft account or a local account with Windows 10? Tell us why you prefer one over the other! Explore more about: Microsoft, Windows 10.
prefer the Local Account, by far. Long ago (around 2004, or 2005) I signed on the "Microsoft Passport" to use my GMail account on MS services (well, being honest, just on MSN Messenger at that time) since then I've been using it for almost any other MS service (OneDrive, MVA, Skype, and now Windows 10).